After yesterday’s American Three-toed photo, I’ve only got one more to go, the Williamson’s Sapsucker, I’ll catch up to one someday. Hopefully I can insert the photo soon. These photos bring back so many memories, great trips with Sue, good friends and new birds. 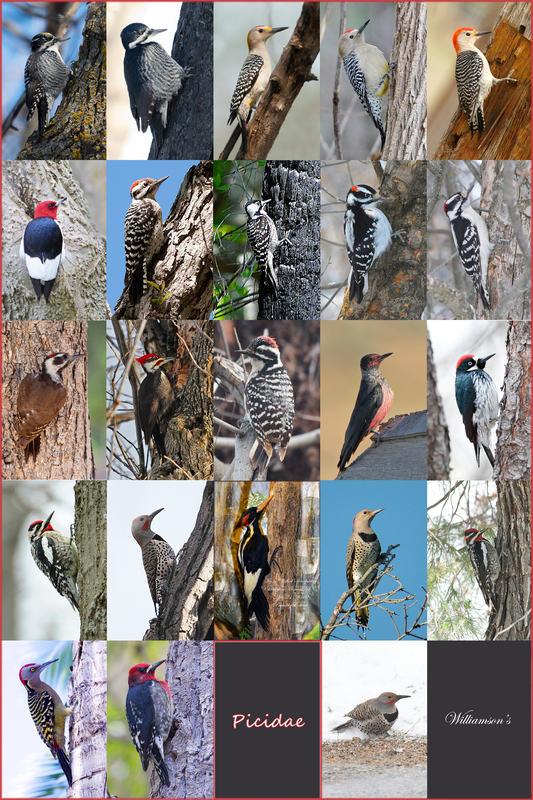 Realized last night I’d forgotten to include the Red-breasted Sapsucker, bottom row, second from left. Superb collectuon. Good luck with the Nuttall’s. A great way to start 2015!